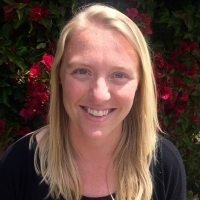 Lauren Halloran is a graduate student at the Middlebury Institute of International Studies (MIIS) where she is earning her Master’s in International Policy and Development and focusing on conflict resolution. Prior to MIIS, she worked with Milwaukee Habitat for Humanity, as an AmeriCorps member and, after two terms of service, as a staff member in the Volunteer Department. During this time she worked on volunteer engagement and building homes for families in Milwaukee. Through this work Lauren became interested in local, community-based advocacy and aid. While working with Habitat, she travelled to Guatemala and El Salvador and has previous experience studying abroad in Nigeria during her undergraduate degree. Lauren received her Bachelor of Arts from the University of Wisconsin-Madison in International Relations and African Languages and Literature. Lauren spent her 10-week Peace Fellowship working with the Gulu Disabled Persons Union in Uganda. She summed up her fellowship in the following statement: "This opportunity was an incredible experience to not only get experience in my field but to learn about an area of work that is does not get as much attention as it should. I'm coming out of this summer with a new perspective to use for my future work and with a better understanding of disability rights. I hope that I can continue to advocate for these communities and that I am able to carry with me all that I've learned this summer. Thank you for the opportunity!" And the summer begins: Welcome to Uganda!